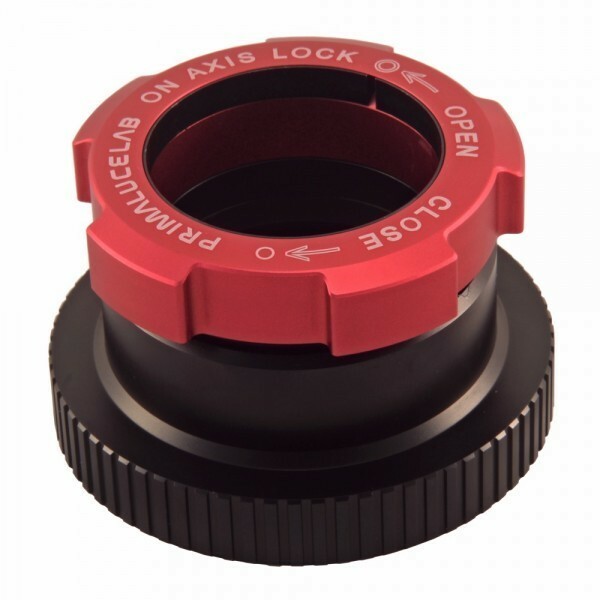 The OnAxisLock 50.8mm Eyepiece Holder for SC Telescopes with 3.3" SC thread replaces the traditional visual back present on Celestron and Meade SCTs (Schmidt-Cassegrain Telescopes) and lets you use all the 2" / 50.8mm diameter accessories with a much improved grip and with self-centering feature. 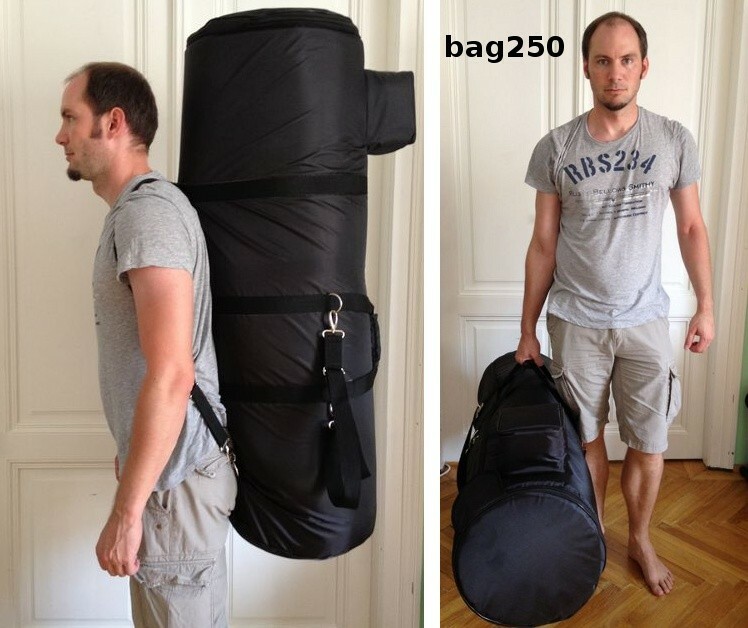 The OnAxisLock 50.8mm visual back for SC telescopes with 3.3" thread is screwed directly onto the rear thread present in Celestron C11, C14 or EdgeHD 925, 1100, 1400 telescopes and lets you use all the 50.8mm diameter accessories. That's why we designed the OnAxisLock adapter that replaces the classic screw with a locking ring system. 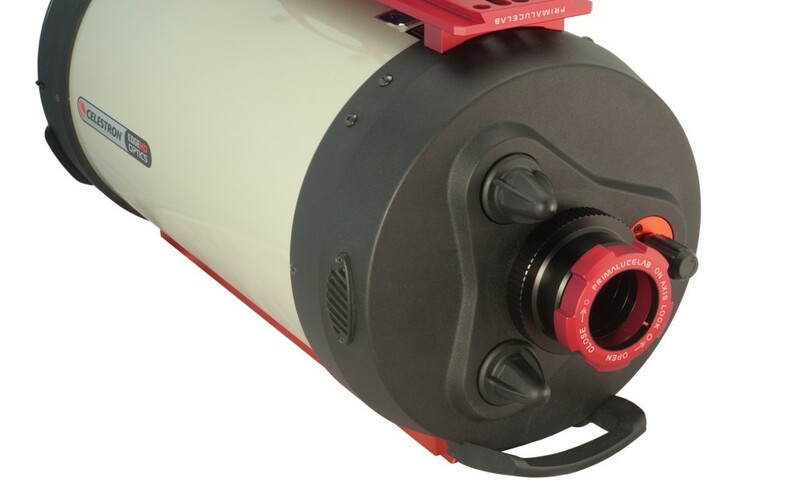 This allows you to perfectly lock the inserted accessory by rotating the outer ring (red): a special double ring tightens internal accessories with an uniform pressure. 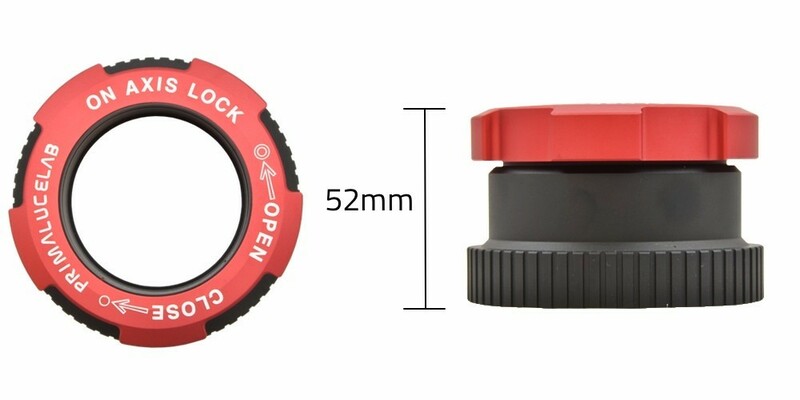 The OnAxisLock device also allows you to keep perfectly aligned the accessories inserted in the focuser: so you will be sure that your camera's sensor will be perfectly centered with the optical axis of the telescope.